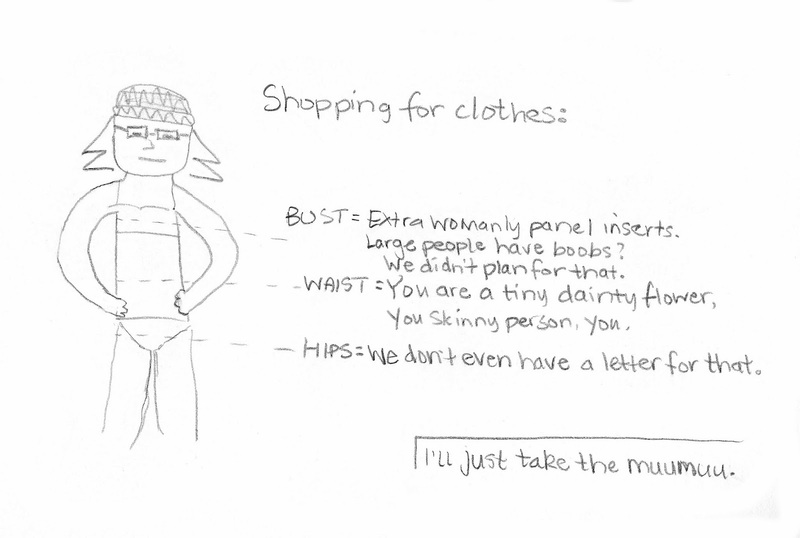 I'm really hating on clothes shopping this year, apparently. According to the drawing, you're about as shapely as a Popsicle stick. That's how I keep the comic safe for the kids.